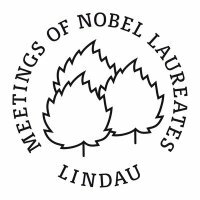 This year I am privileged to be invited again to write for and attend the 61st Meeting of Nobel Laureates in Lindau, Germany. This year's meeting is dedicated to Physiology or Medicine and the list of attendees provides a glimpse of the diversity and impact of biomedical research. These men and women have made enormous contributions to our understanding of biological systems, from elucidating structures and pathways to providing tools of inestimable value. My first post just went up and I will be linking to others as I write more. Here's the first one. In the early 1940s, as war raged over the continent, the British mathematician Freeman Dyson and the Indian physicist Harish Chandra were taking a walk in Cambridge. Harish Chandra was studying theoretical physics under the legendary Paul Dirac while Dyson was getting ready to spend a depressing time calculating bombing statistics at Bomber Command. “I have decided to leave physics for mathematics”, quipped Harish Chandra. “I find physics messy, unrigorous, elusive”. “That’s interesting”, replied Dyson. “I am planning to leave mathematics for physics for exactly the same reason.” Leave their respective disciplines the two did, and both of them had highly distinguished careers in their new fields at the Institute for Advanced Study in Princeton. I narrate this story because I can imagine almost exactly the same conversation taking place today between a biomedical researcher and any other kind of natural scientist. In fact it’s interesting to compare the status of medicine today with the status of physics when Dyson and Harish Chandra had their conversation. By 1940 physics had underwent a great revolution in the form of quantum mechanics and relativity. Yet there was much to be done and the “second revolution” was in the making. In retrospect it’s clear that very little was known about the strong and weak nuclear forces and nothing was known about the particle “zoo” that would be uncovered in the next few years. It took the efforts of many brilliant individuals to unify crucial concepts and make the whole structure look more consistent and complete. Medicine in the year 2011 is like physics in the year 1940. Just like physics it has had a recent revolutionary past in the advent of molecular biology. Just like physics there is much of it that is “messy, unrigorous, elusive”. And it’s exactly these qualities that make it a field ripe for another revolution. The future beckons for medicine and biology today as it did for physics in 1940.